First day at school: The class of 2013 try to break out of their cliques. Matt Stevens seems to be succeeding so far! IT’S HERE! The Lions tour has started and the new issue of Rugby World has everything you need to make the most of events in Australia over the coming weeks. Firstly, the magazine comes complete with a Lions wallchart so you can fill in all the results as the tour goes on and we profile every player so you can get to know the squad. We have exclusive interviews with Lions stars Johnny Sexton, Ben Youngs, George North and Richie Gray as well as Wallabies Will Genia and James Horwill, while former internationals Stuart Barnes and Rod Kafer look ahead to the Test series and analyse the strengths and weaknesses of the Wallabies and the Lions. On top of all the Lions news, views and behind-the-scenes pics, we look ahead to the Sevens World Cup at the end of June, previewing the men’s and women’s competitions, Stephen Jones casts a critical eye over the venue selection for the 2015 World Cup and we celebrate all the league winners in our grass-roots champions section. The domestic season might be over – but there’s still plenty to keep you entertained in Rugby World! 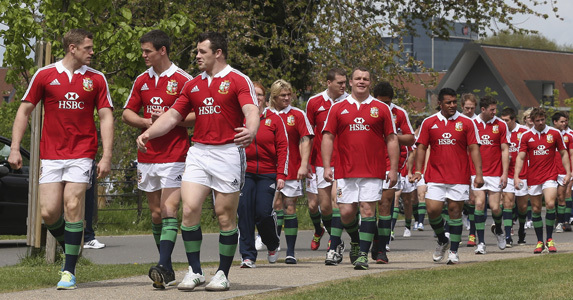 Tour Tale – Surely this Welsh Lions fan was taking things too far? Or perhaps you’d like a digital version of the magazine delivered direct to your PC or android device? If so click here.